Google Analytics is a web analytics service offered by Google that tracks and reports your website traffic and activity. The use of Analytics not only makes it easier for your business to understand how your website is working, or not working, but it also allows you to understand how your customers and prospects are engaging with the content on your site. Google offers two version of Analytics; one that is free and one that costs an arm and a leg. If you’re a huge company like Apple or Target, paying $150,000/year won’t hurt too bad, but for a small to medium size business, the free version gets the job done. Best of all, you are not required to host your website with Google in order to get the insights. The analytics platform is built to work in sync with Google’s advertising and publishing products, which allows you to use your insights from Analytics to better craft and target your advertising efforts. One way of doing that is by building remarketing lists to use for targeting with Google Ads by using your Analytics data, such as which users are likely to convert or which customers have high revenue potential. 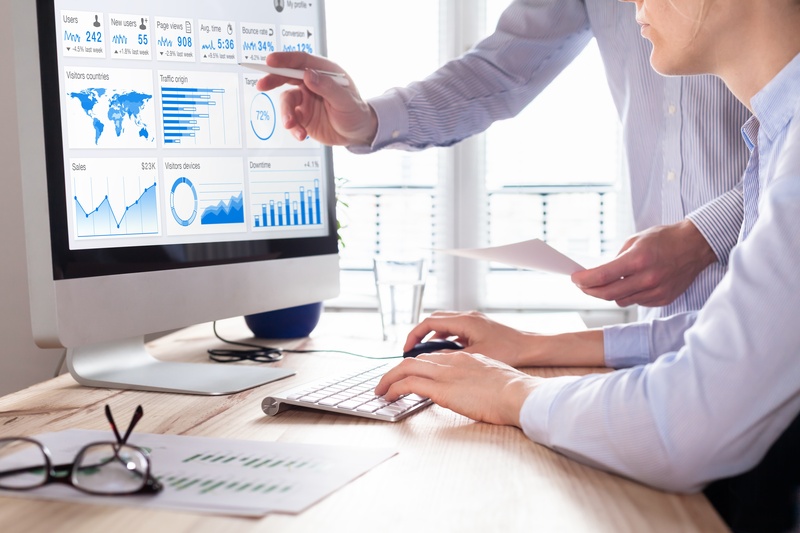 Because Google Analytics provides a customizable dashboard, your business is able to build out its dashboard in a way that only displays the data you’re interested in, which allows you to quickly find and analyze the data and apply the updates and changes that need to be made to your website or advertisements. For example, if you see that one of your web pages has a high bounce rate, you’ll know that you need to update the content on that page or fix any page errors that may be occurring. Because Google Analytics allows you to connect your social platforms and also tracks which platforms most of your traffic is coming from, you’re able to see which platforms will give you the best return when advertising and sharing content. If you see that most of your social traffic is coming from Facebook, your business will know to allocate more of your advertising budget to that platform versus to Twitter, for example. By setting target objectives, Google Analytics goals allow you to measure how well your site is fulfilling your goals. An example of a target objective could be making a purchase, downloading an eBook, reading a blog or filling out a form. Having properly set goals allows Analytics to provide you with much needed information, such as the number of conversions and the conversion rate of your website. Google Analytics can be hugely influential in the success of your business. Not only does it provide you with critical insights into your brand, but it allows you to use those insights to improve the performance of your website, to improve the results of your advertising efforts, and to set and monitor goals. While there are many analytics tools available, Google Analytics is the most comprehensive, functional, and useful platform we have used to date.